Language teaching is a unique field which has seen a tremendous amount of change in recent years. Emerging technologies have fundamentally altered the language teacher's role and opened up instructional opportunities undreamed of just 15 years ago. Government policies have mandated bilingual education programs, fostered the development of a Common European Framework, and acted to protect endangered languages. Theoreticians have moved to a post-method era in recognition that language teaching and learning is a dynamic system with the teacher as autonomous agent in the classroom, responsible for making calculated decisions based on experience, professional training, and the immediate needs of his or her learners. While our field's rapid evolution is exciting to watch, it also signals the importance of ongoing professional development. For teachers with limited resources (monetary, time, or access), the challenge comes in the form of weighing options. 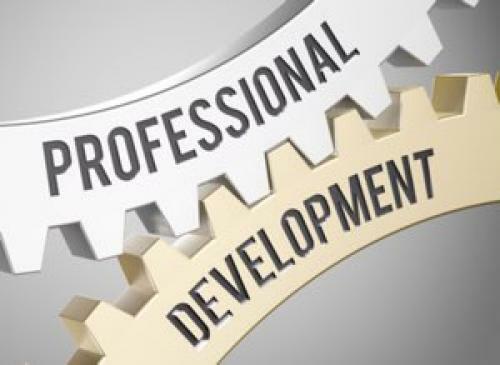 There are five paradigms of professional development (PD) open to language teachers. The article below explores each paradigm, offering suggestions for language teachers interested in ongoing PD. The Classroom. Perhaps the most familiar of the five paradigms is PD targeting classroom practice. This comes in the form of reflective practice, peer observations, materials development or adaptation, action research, and experimentation with new methodology. Formal pre- and in-service teacher training concentrates around this paradigm. For teachers thinking about PD in terms of day-to-day practice, the classroom is the obvious place to start. The School or Program. The next paradigm focuses on PD supported by or in response to initiatives within the school or program. At this level, we see school leadership calling for new technologies, program development, and community initiatives driving PD. For example, a school might purchase interactive whiteboards and expect all teachers to now use the boards for instruction. Another example might be an influx in the local immigrant population and by extension the school's student population. This might lead the school to develop and support new community-based programs for these students and their families. The Profession. Language teachers are members of a global professional community. PD with this third paradigm involves engaging with colleagues, contributing to and learning from a collective pool of knowledge. This includes, but is not limited to, publication, conference attendance, participation in online communities, and formal workshops or coursework. These PD opportunities center on teachers finding their community. Current Policy. Language policies are ubiquitous, influencing both institutional and classroom practice, be they at the national or local level, or even external accrediting agencies. Teachers are responsible for carrying out these policies, learning how to accommodate any required changes to their teaching practice. Ongoing PD may be necessary given the scope of a given policy. One excellent example includes the increasing mandate for bilingual education. Alternatively, teachers also have the ability to act as change agents, seeking out ways to work with governing bodies to reinforce effective language policies or change those that are less so. Personal Goals. The fifth and final paradigm identifies the teacher's personal career goals as a critical element when considering ongoing PD. Personal career goals do not always align with institutional initiatives or changing policies, but rather focus on the long-range career aspirations of the teacher. Identifying these goals and keeping them in mind helps teachers take advantage of career-building opportunities when they arise, even though these opportunities may have little to do with his or her immediate teaching context. Ongoing PD is crucial for language teachers as they navigate the constant changes happening inside and outside of the classroom. When choosing to engage in one activity over another, the convenient reality is that the paradigms overlap. Participating on a policy committee helps to influence changes (hopefully positive) at the classroom level and likewise serves as a leadership opportunity supporting career advancement. Maintaining a teaching blog fosters reflective teaching and simultaneously engages our professional community. The wealth of opportunities available for PD is limited only by the individual's ability to navigate among them and choose those which are the most meaningful given the local context, available resources, and personal goals. Erin N. O'Reilly serves as the director of the Intensive English Institute at the University of Illinois at Urbana-Champaign. Her interests include language program administration and language teacher professional development.